This was my first real ASCI miner and my introduction to a unit that sounded like a vacuum cleaner. It was at this time I thought there must be way to make these unit quieter! With 2x 120mm Fans mounted at either end of a tube making a wind tunnel and a CPU style heat sink inside with a further 80mm fan pointing down this must have been the worst ait flow design I had ever seen. why did then not make the internal heat sink the same as an off-the-shelf heat sink with cross flow design? Quieter, cooler and probably less expensive! Like the name suggests, this only had a single mining chip inside. The second SMT slot remained empty. You could tell the difference between the single and duel units as the dual unit has 2 PCI-e power inputs and the single just the one. One power connector direct on the circuit board. 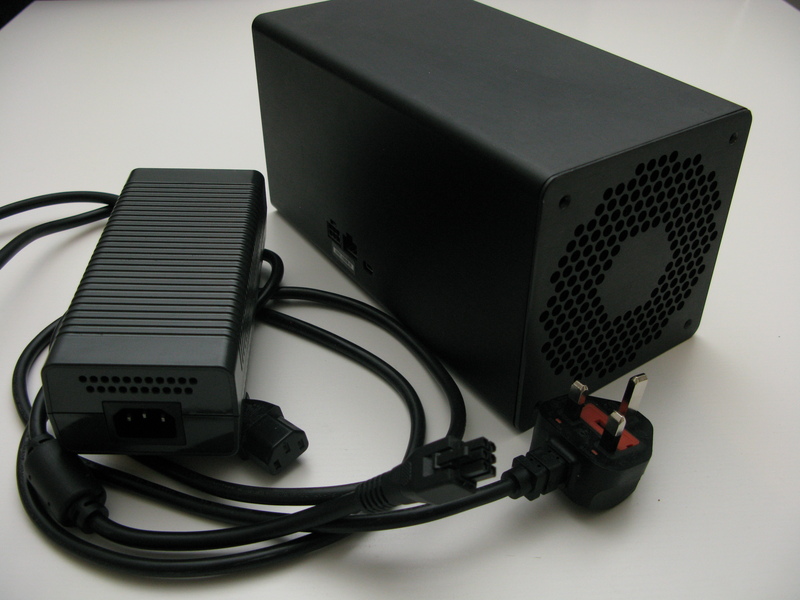 These units also came in 50GH/s and 60GH/s and were, like the Jalapeno where overclockable with a firmware upgrade. Never got the change to do one myself but there is info on old forums if you need to investigate.